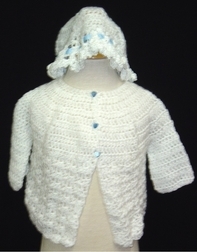 This is our very sweet, soft, hand knitted white sweater for babies with blue ribbon trim. It will keep him/her snuggie and warm on those chilly days. 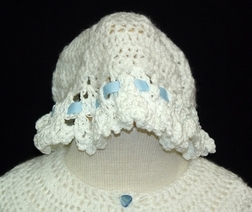 The matching bonnet completes the outfit, and keeps the ears and head from the cold air.